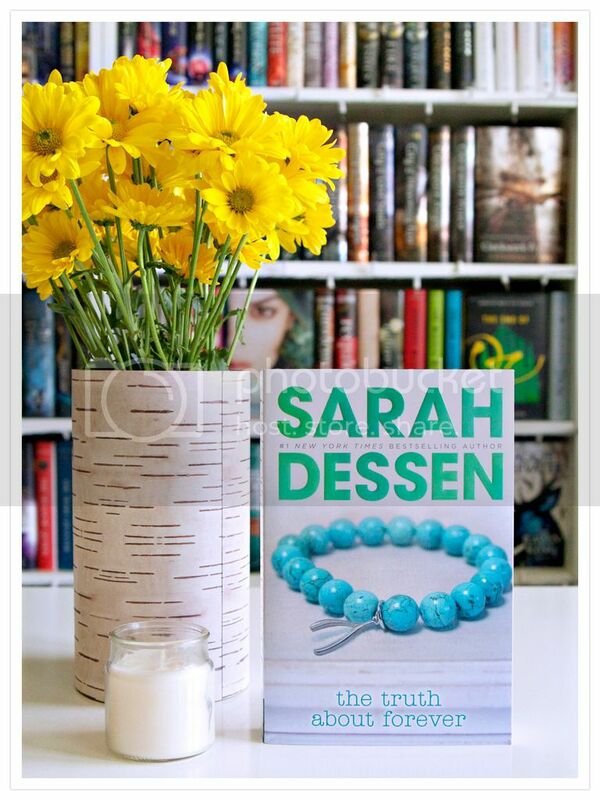 The next book on my list for my Sarah Dessen Readathon is The Truth About Forever!! I read this book for the very first time last year, and it's definitely one of my most favorite books that I've read by Sarah, so far. Even though I read this just last year, I coudn't wait to dive back into the story again. That's how much I love it! I think I love it even more reading it for the second time! There are SO many characters to love in this story; Macy, the main character, her sister Caroline, Wes and the WHOLE WISH CREW. I loved them all. When you have a group of such likable characters, it really makes the book that much more special, and I think that's why this is one of my faves. 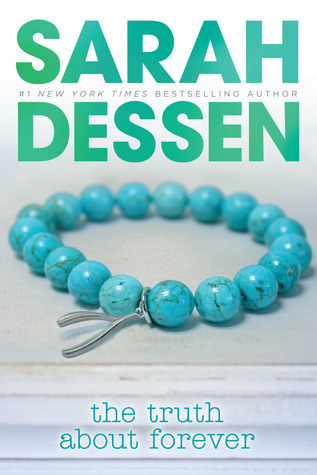 The storyline for the book was fun and lighthearted, but was also about overcoming grief and loss. And even though I've read this book before, I was completely addicted to the storyline once again, and I flew through the pages in just a few hours time. I've been asked a few times lately what book would I recommend to readers that are new to Sarah's books, and I think The Truth About Forever is a great place to start, if you don't want to start from the very beginning. I love this book! Overall; I can't even begin to tell you how much I love The Truth About Forever. It's definitely one of my favorites, and I highly recommend you checking it out if you haven't already done so. Next on my list is Just Listen, which happens to be another favorite of mine, and I can't wait to dive into it again as well!